HTC has sprung something of a surprise at MWC 2015: behind the launch of the One M9 is a new virtual reality headset. 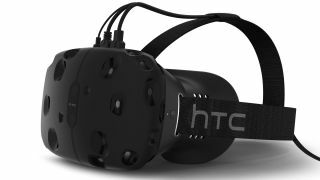 Teaming up with Valve, the Taiwanese brand is the hardware name behind the new headset, which promises to 'change the VR game' as we know it. Running the forthcoming SteamVR platform, the HTC Vive is designed to be high end hardware which brings clearer, crisper images – and allows for real time 360 movement within the virtual reality. Unlike Samsung, the HTC Vive won't use a phone at all for the VR, instead tethering to a PC for the processing, meaning you won't have the freedom to take this VR headset with you wherever you go but it will have more power. We're still waiting on more information to land about this new joint venture, but HTC assures us it will extend beyond gaming into education, entertainment and more.